The Fresh Prince of Bel Air may have wrapped in 1996, but many aspects of the show are timeless. 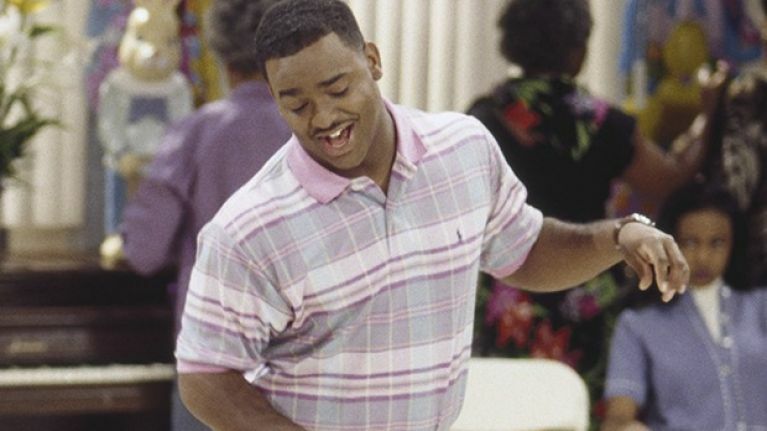 Perhaps the most enduring of all is the iconic 'Carlton Dance', created by actor Alfonso Ribeiro (and recreated by us every Saturday night). Now, the actor has spoken out about what inspired the quirky moves, and the revelations were certainly surprising. Ribeiro actually credits Friends star Courtney Cox, Bruce Springsteen and Eddie Murphy for inspiring the dance. He explained to Variety magazine: "The Carlton Dance was created when it said in the script: 'Carlton dances.' It was never even intended to be funny; it was just that he was dancing. "The dance is ultimately Courtney Cox in the Bruce Springsteen video 'Dancing in the Dark.' That's the basis. Or in Eddie Murphy's 'Delirious' video, 'The White Man Dance,' as he called it." And I said, 'That is the corniest dance on the planet that I know of, so why don't I do that?" For comparison purposes, here are both dances.